No actual Tweet saying “My Way’: Remember the first line” has been produced. CNN claims the Tweet was deleted. Nancy Sinatra appears to disagree. 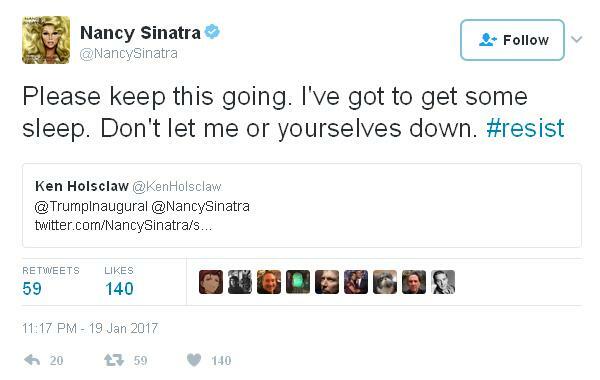 In any case, those words do not imply that Nancy Sinatra is “not happy” about use of the song — and could just as easily imply the opposite. She could be very happy about the irony on display. 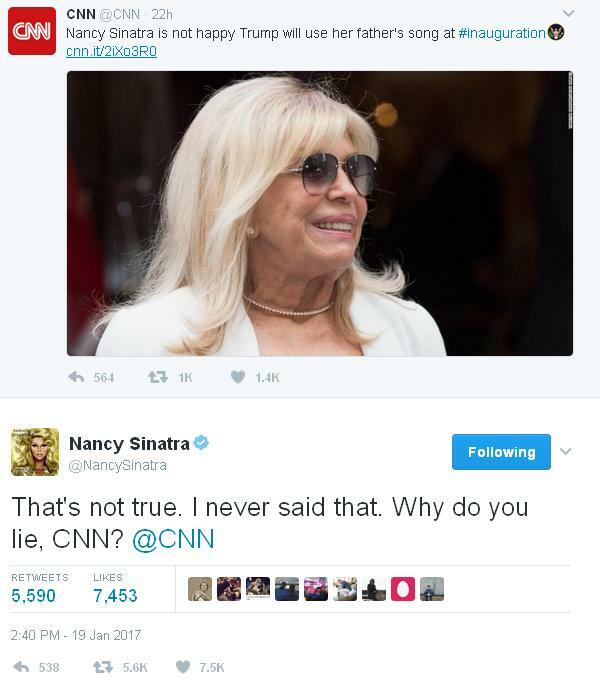 While CNN tries squirm out of its misinterpretation, Nancy Sinatra returns to opposing Donald Trump’s views. Nancy Sinatra also indicates her respect for the office at precisely inauguration hour, wishing good luck.